The job of planning the annual Christmas party can often seem very daunting, especially if you are in charge of the entire company. 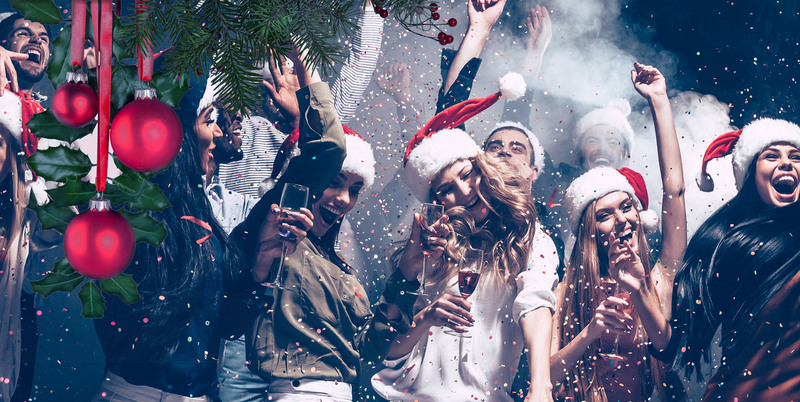 With you in charge you want to make sure the annual Christmas party is as stress free and successful as possible. And don’t worry you are not alone if you are feeling worried about it. In fact, we are sure everyone who is in charge of planning the Christmas party is feeling the same. So make sure that you ensure it is ran as smooth as it possibly can by setting up and completing the correct preparations. Before doing any sort of planning you need to decide on the actual date of the party. It could be a good idea to put out a survey asking all of the guests what their preferred date would be out of say 3 dates. Speaking of the guests, now would be a great time to put together the guest list. By creating this list you will then ensure that you don’t forget about anybody that you are inviting this year. And it is all down on paper for others to check through. From deciding the date and making the guest list it would now be a great time to figure out what the budget will be. As by now you will already have had most of your guest lists answers about whether they will attend or not too. Usually, a Christmas party is used as a year-end celebration. But you need to figure out what type of party you want to plan, will it be formal? Casual? Corporate? Or just a Christmas party? 5. Decide on a theme, if you want one. Once you’ve set what type of party you want it is important to then decide on a theme. This usually makes everything a little bit more exciting. This way everyone will look forward to decorating, buying themed décor and potentially sorting out their costumes or outfits. This is something you will want to do quite far in advance if you plan on having your party in December. As everyone will be planning a party for this type of time it is important you try and secure your venue asap. Of course music is a given, but you have to think about whether you want to have any other entertainment throughout the night. Whether it be a band or some activities for everyone to get involved with. If you are having a Christmas party with food you need to decide on what you are going to do. A traditional sit down meal with a seating plan, or an all you can eat buffet with a wide range of food for everyone. And for the drinks? Are you going to have a venue with a bar, if so will it be an open bar? Or will there be a happy hour towards the end of the night. Or is the bar open as usual and everyone will have a welcome drink? 10. Ways to make the party unique. Sometimes the things people remember in a party are the things that make it unique. Try and do that with your Christmas party, perhaps give out end of year awards, or add a personal touch for everyone during the night.